Fourteen-year-old Elham, a refugee in Jordan, married an eighteen-year-old compatriot from Syria. After being repeatedly abused, she moved back to her family. Today, she gets help and support from Kvinna till Kvinna’s partner organisation Jordanian Women’s Union (JWU). When Elham got married, she was 14 years old. She remembers the day well. He was 18, and, just like her, a Syrian who had fled to Jordan to escape the war at home. Elham moved in with her new husband and his family – but less than three months later, it was all over. “He beat me. The violence continued even after he found out I was pregnant. On one occasion, he threw me out and refused to communicate for four days,” recalls Elham. After this, Elham begged to be allowed to return home to her family in the refugee camp Baqa’a, close to Amman. She was 15, pregnant, and traumatised by the violence she had suffered in her short marriage. The turning point came when Elham met a social worker from Kvinna till Kvinna’s partner organisation Jordanian Women’s Union (JWU), which runs a centre providing support to women in the camp. “I heard about JWU through word of mouth. They’re well known here in Baqa’a,” says Elham. JWU helped Elham apply for child support. Her husband was sentenced to pay, but he had already left the country by then. 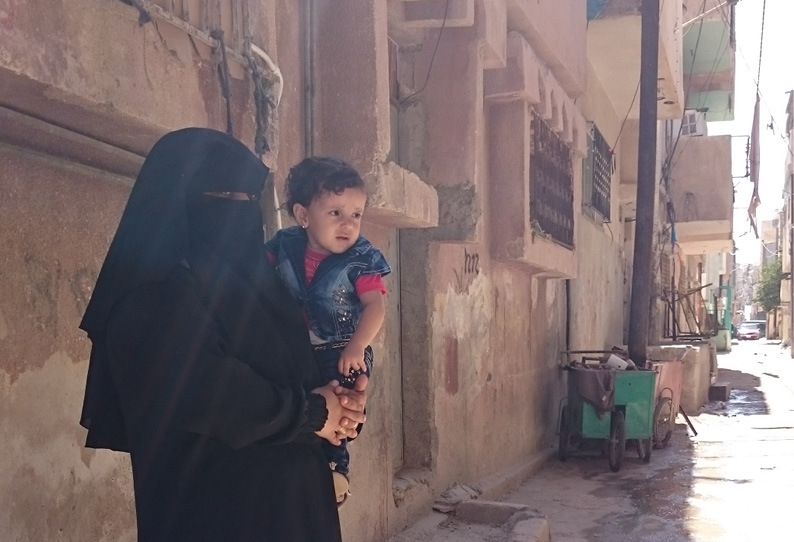 “I haven’t heard from him since,” says Elham, whose daughter Noor is now just a little over one year old. She is a happy and curious child, peeking into the cupboards while we are talking at the JWU office. “My dream is to have another family. I think that would be the best thing for my daughter. But I’m confused, and I don’t know how my situation will be resolved,” says Elham, and prises a set of keys from Noor’s little fist. JWU helps many women like Elham, who suffer from trauma after being subjected to violence. They offer legal counselling and psychosocial support. “Every day, the centre receives 15 to 20 Syrian women. For many of them, the centre is their only resource, offering a glimmer of hope and much-needed guidance as they try to navigate the challenges of refugee life,” says JWU social worker Elham Aid. She explains how financial strain and poor access to employment have knock-on effects for women and girls in Jordan’s refugee communities. The strained situation sometimes leads to child marriage or domestic violence. JWU informs families of their legal situation, and the women of their rights. “Without the help from JWU, I wouldn’t know what to do,” says Elham, who continues to participate in lectures at the centre. Even if she and her husband ultimately get a divorce, she does not see herself marrying someone else. Jordanian Women’s Union (JWU) is a strong actor in the work against gender-based violence in Jordan. The organisation supports women and girls who have been subjected to violence, become isolated or abandoned due to early marriage. JWU regularly runs a support line and women’s shelter, and holds lectures on legal and health-related issues.